Why a Texas Medical Power of Attorney is an important document! Do They Know What You Want When The End Arrives? Why a Texas Medical Power of Attorney Is An Important Document! Why a Texas Medical Power of Attorney Is An Important Document To Have! If You Were Incapacitated, Who Do You Want to Make Your Medical Decisions for You? Because this is an important question, it is important to know why a Texas Medical Power of Attorney is an important document to have! Do they know your religious beliefs? How about what conditions you would want the Doctor to cease providing medical care? Have you taken the steps to ensure that this person can legally make these decisions for you? Decisions concerning end-of life care and incapacity can be the most difficult decisions for anyone to make. Most often, these types of decisions are left to loved ones; and in so many situations these decisions tear families apart. Most people however, don’t want to discuss these topics, and don’t know where to start. 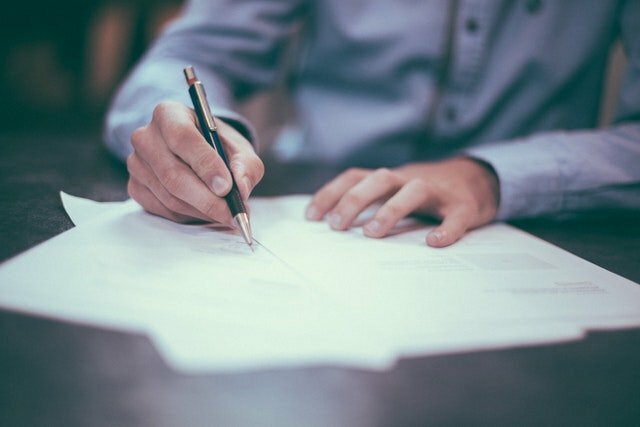 Because this is an important issue, it is important to why a Texas Medical Power of Attorney is an important document to have! A Medical Power of Attorney is a document signed by an individual, or “Principal,” that designates who will make almost all medical decisions concerning the end of life or life after incapacity. Once a person becomes incapacitated the power granted under the Medical Power of Attorney kicks in and the named agent is allowed to act on the Principal’s behalf. Remember, this doesn’t just mean unresponsive or unconscious because someone can be incapacitated, or incompetent, and still be fully awake and communicating. It is very important when deciding to designate someone as your agent under a Medical Power of Attorney to ask permission of this person. You don’t want them to be thrust into making difficult decisions that they never agreed to make. Further, you want to choose someone you would trust with your life – because that’s exactly what is happening. In most instances the person named is a spouse or other family member who knows the principal best. It is also extremely important to discuss your wishes with that person. If you name an individual in a Medical Power of Attorney and never tell them what you want, you put them in a position of great power and burden and risk them making a decision you would never want to live with. Because these are all important issues, it is important to why a Texas Medical Power of Attorney is an important document to have! What Can A Person Do Who Had Been Named The Agent Under A Texas Medical Power of Attorney? Generally, an agent named in a Medical Power of Attorney can make any decision for the principal that the principal could make for themselves if they were not incapacitated. However, before the Medical Power of Attorney becomes effective, the principal’s attending physician must certify in writing that the principal is incompetent. An agent must then act, to the best of their ability, in accordance with the principal’s wishes and religious beliefs. The agent may not, however, consent to certain treatments such as convulsive treatment, psychosurgery or abortion. Please note, however, if a principal objects to a treatment or the withholding of treatment, the principal’s wishes prevail regardless of the effectiveness of the Power of Attorney or the competence of the principal. The Medical Power of Attorney is effective unless it is revoked by the principal or if the principal regains competency. Therefore, it can be revoked at any time by signing a new document or giving notice to the agent that the document has been revoked. A Medical Power of Attorney may further be revoked by a divorce between the principal and named agent if they were married at the time of signing the document unless the Medical Power of Attorney states otherwise. Getting A Texas Medical Power Of Attorney Is Something Every Texan Needs To Do Today! Statistics show that you are most likely going to become incapacitated before you actually die. Planning for your incapacitation is not difficult, nor is it even expensive, and it is something that you have to do now while you are healthy. Give yourself some peace of mind, and give your family some peace of mind because they will have enough things to worry about when the time comes. If you have questions or need more information about why a Texas Medical Power of Attorney is an important document to have, call me today! No charge for the initial consultation.